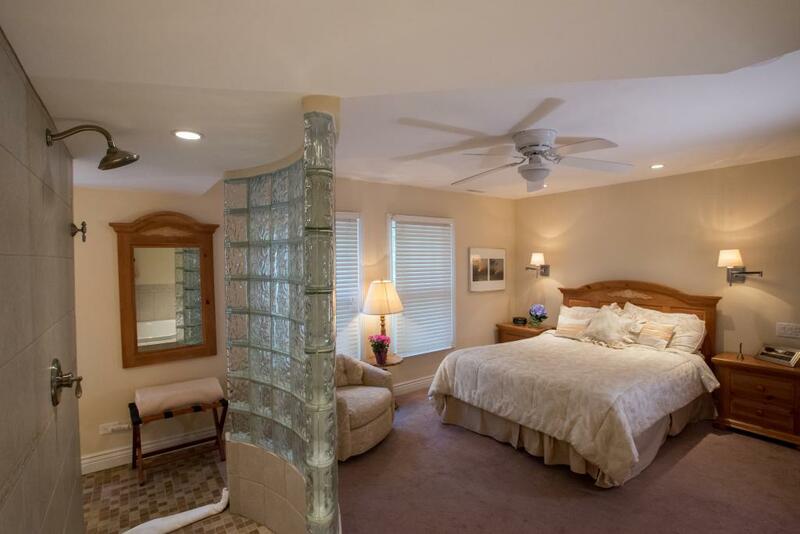 Sunny room offering a luxurious respite with three windows, a Queen bed, 2 person jacuzzi, peek-a-boo romantic shower, private bath. 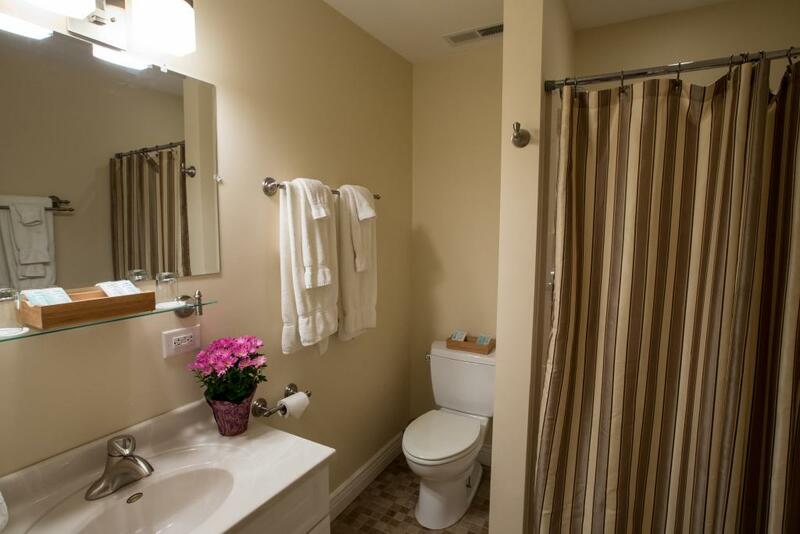 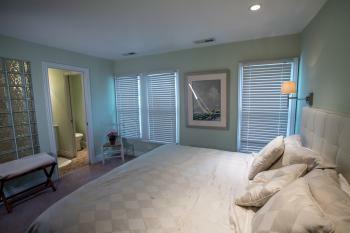 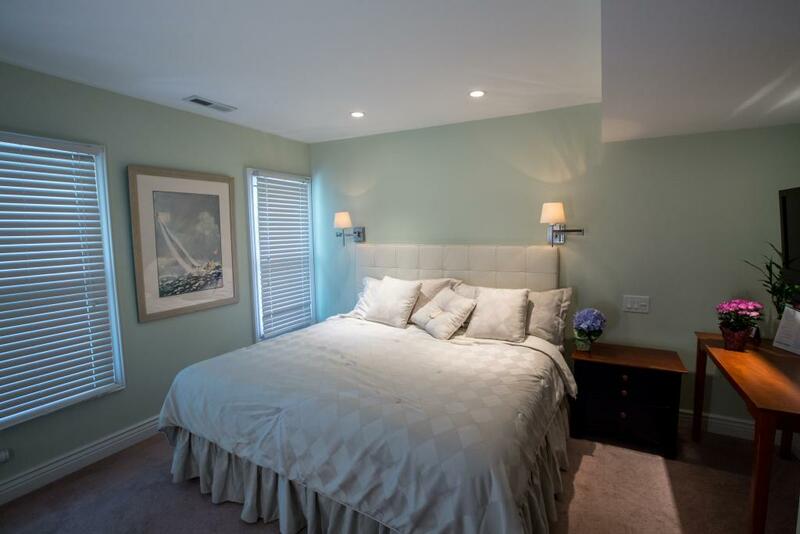 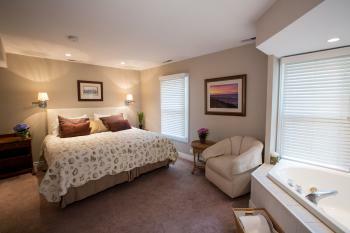 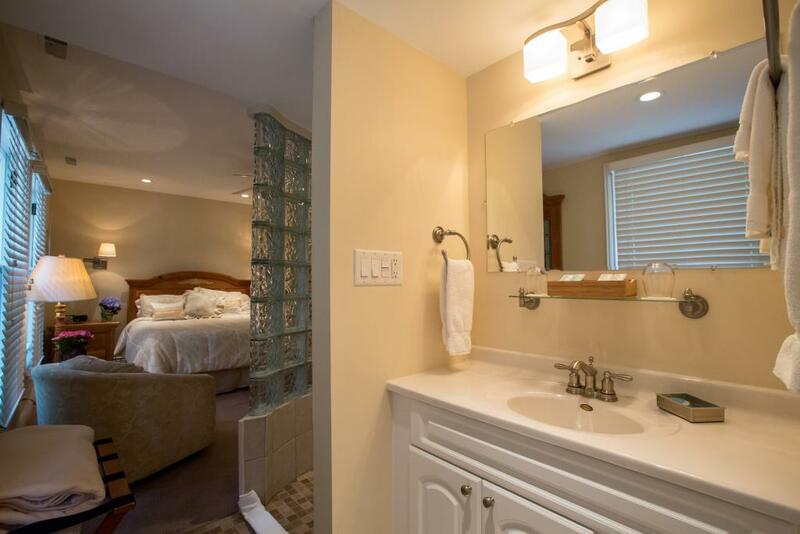 Deluxe two bedroom suite with shared full bathroom with walk-in shower. 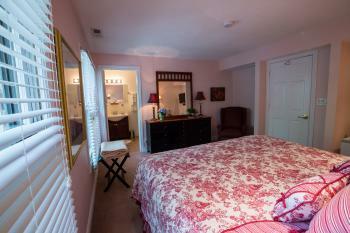 Each room has a dresser, arm chair, LED flat panel cable television. 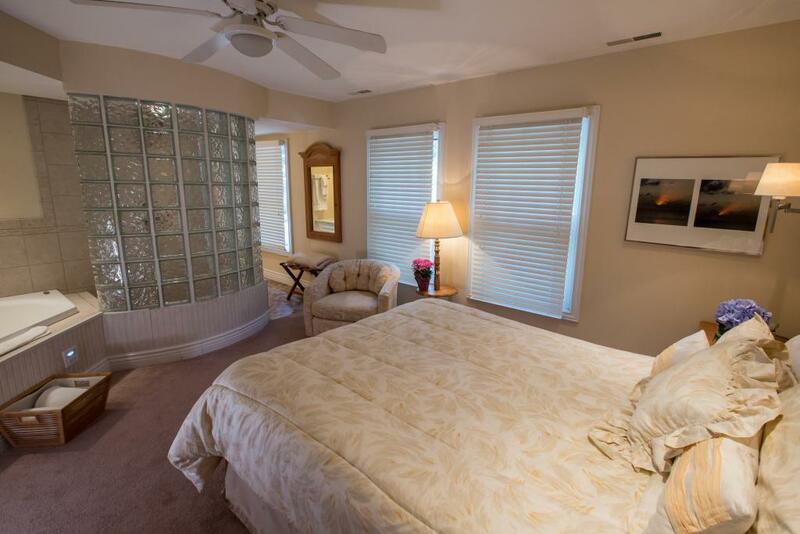 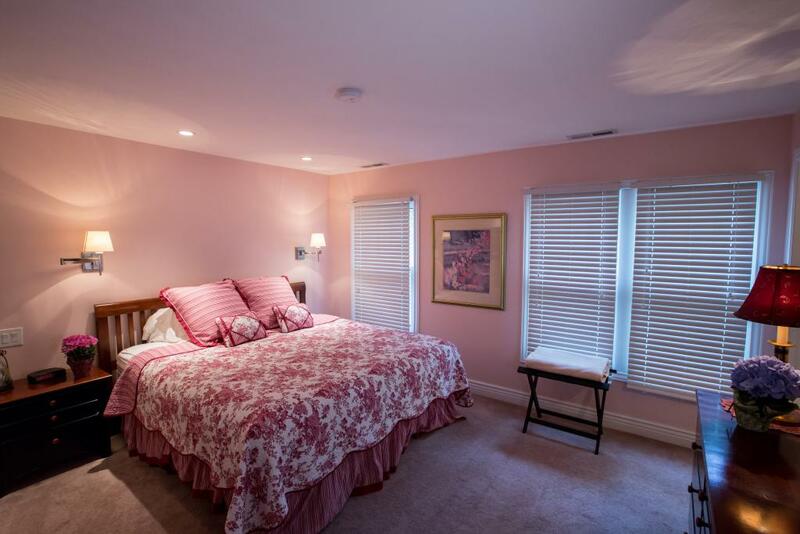 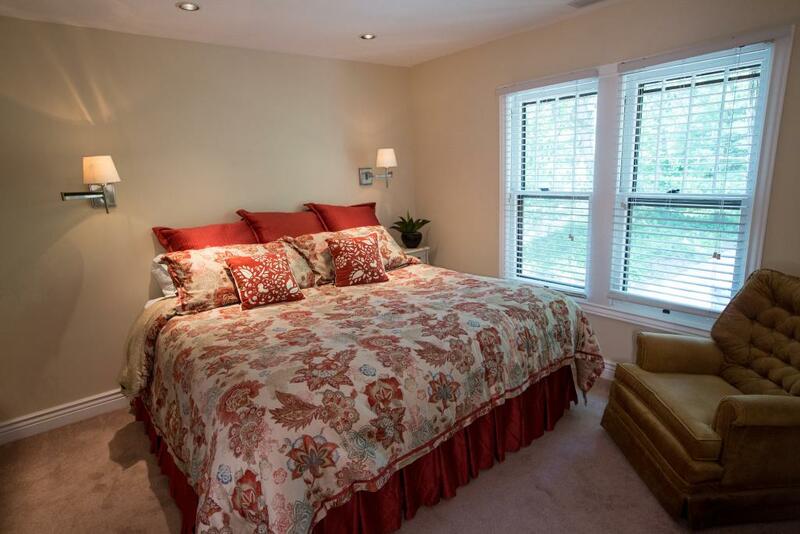 King bedroom has three windows and refrigerator; Queen room is a sunny corner room with two windows. 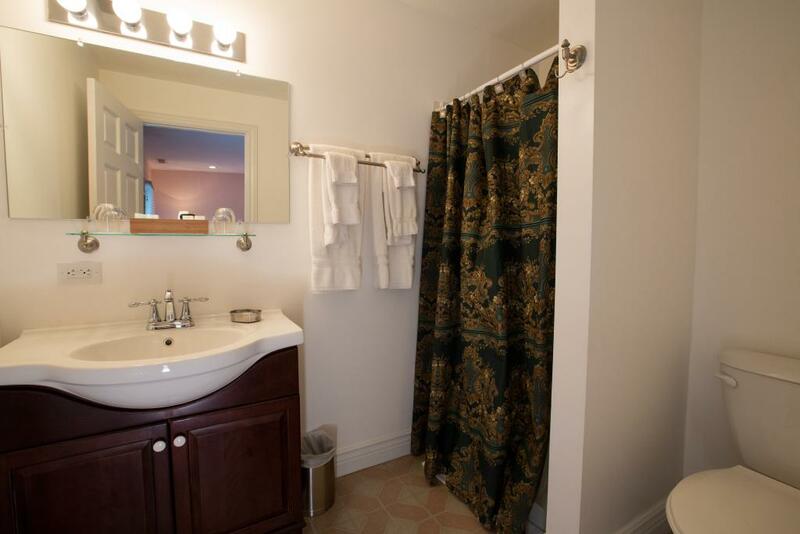 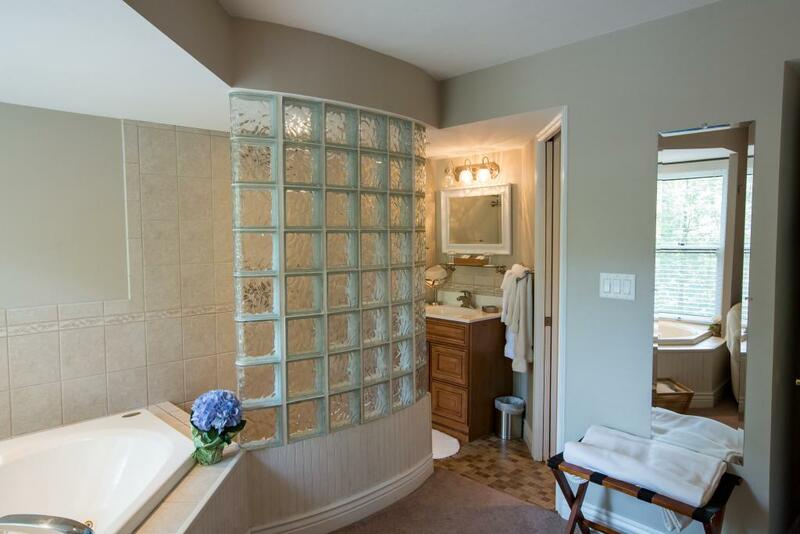 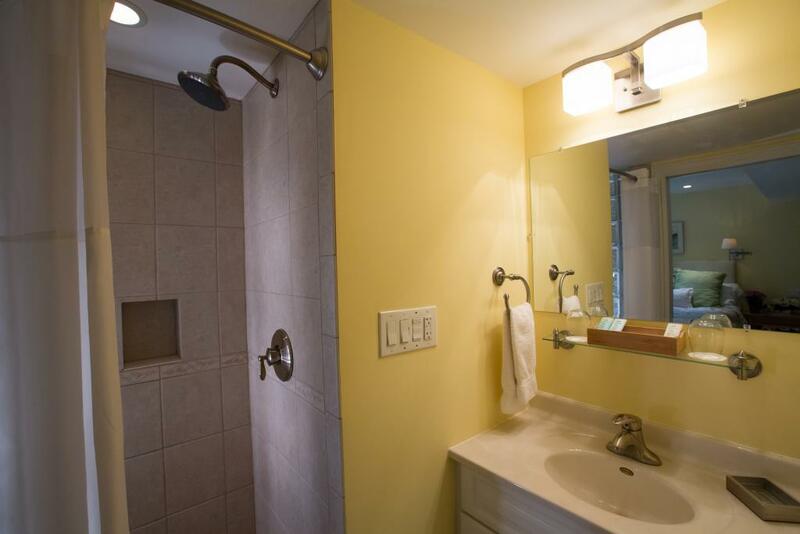 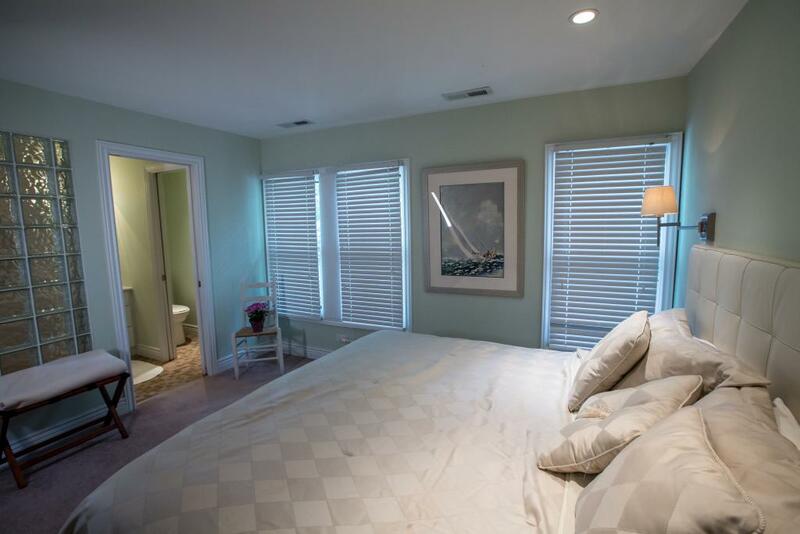 Both rooms have sliding doors for privacy connecting to entryway and private bathroom. 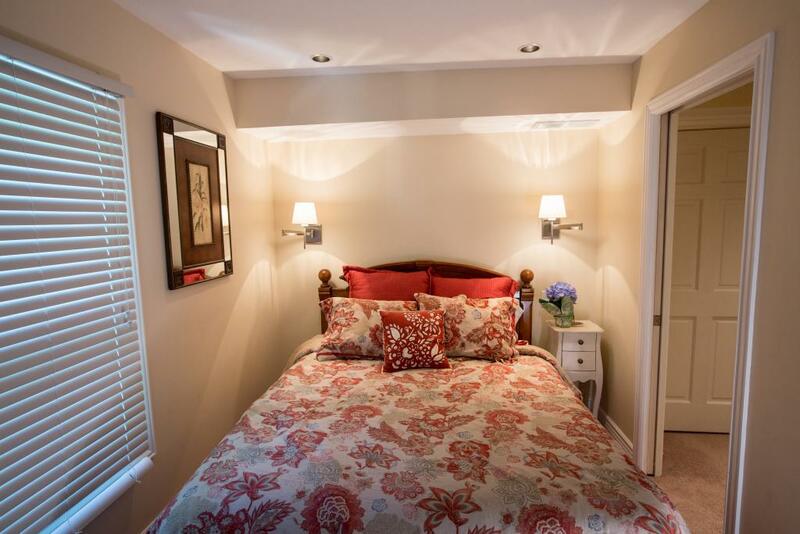 Garment closet in entryway. 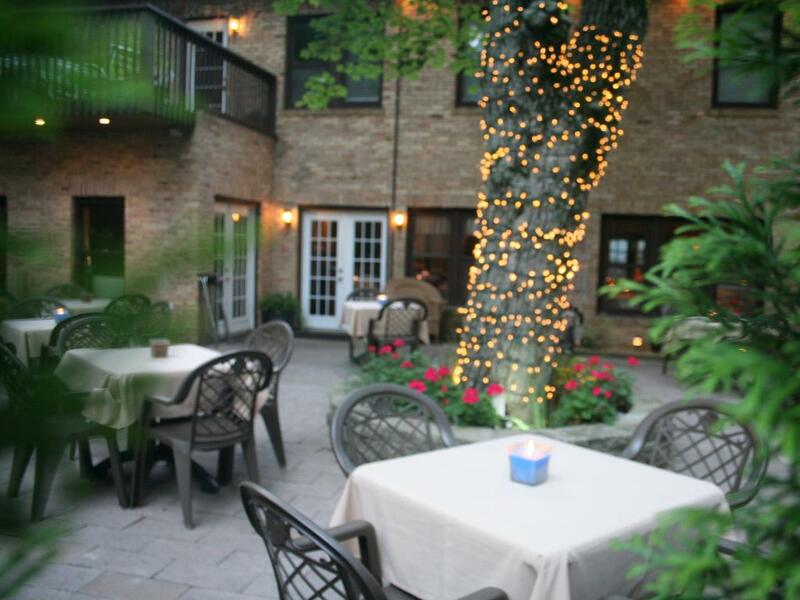 Originally built as the Duneland Hotel in 1922, our updated country Inn, referred to affectionately by our guests as a "hidden gem" is located in the private beach neighborhood of Duneland Beach, just an hour from Chicago. 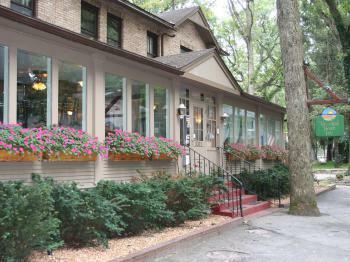 Originally built during prohibition along the newly paved 2 lane highway that was previously an Indian Trail, the Inn aided bootleggers and travelers with a new invention, the automobile, taking road trips from Chicago to Detroit. 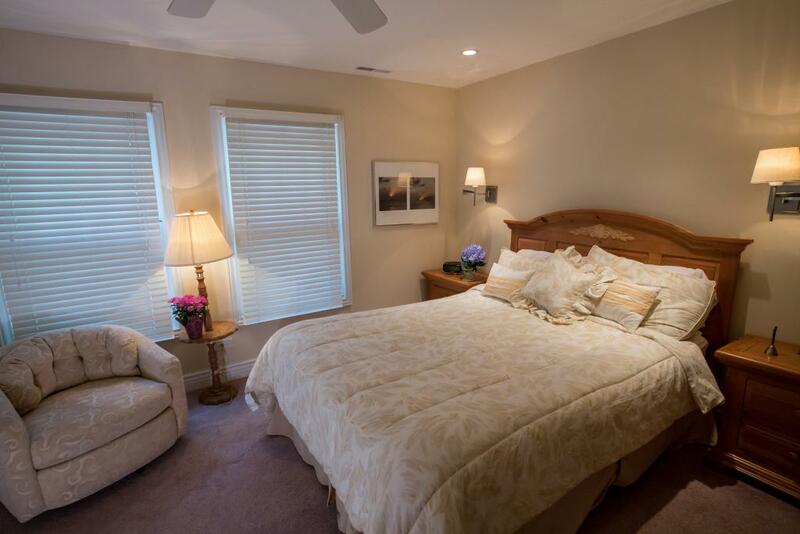 We have 8 luxuriously appointed guest rooms on the 2nd floor, all with private baths. 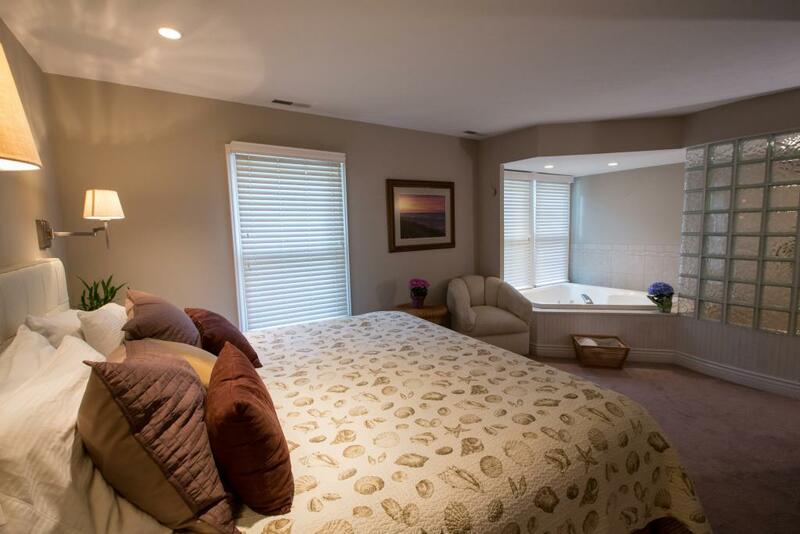 Jacuzzi suites are available. 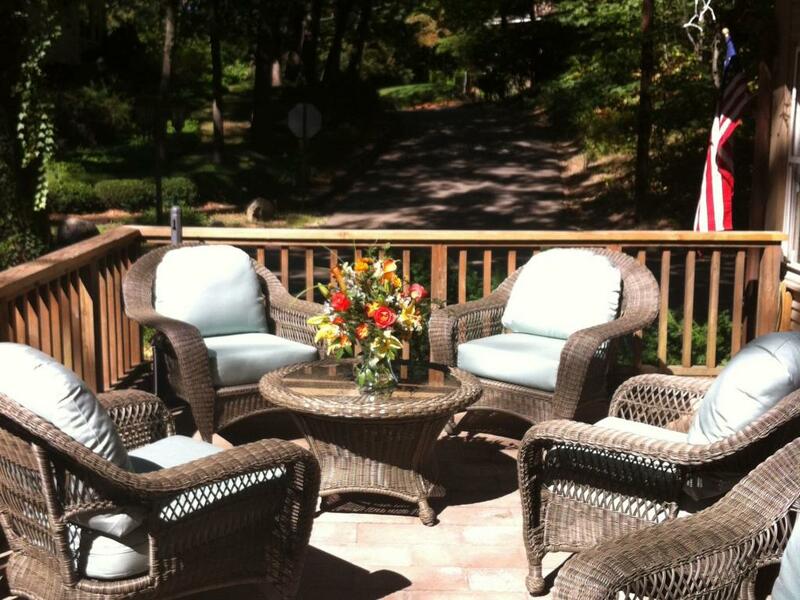 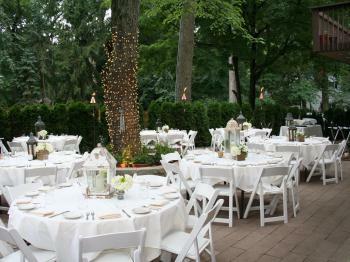 Guests have access to 5 miles of private, sandy and pristine, unsalted Lake Michigan Beach. 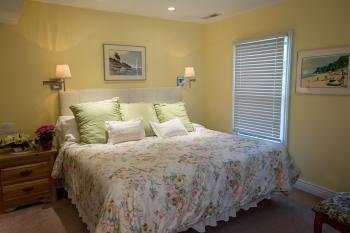 The Duneland Beach Inn is the only property with Lake Michigan private beach access in Indiana. 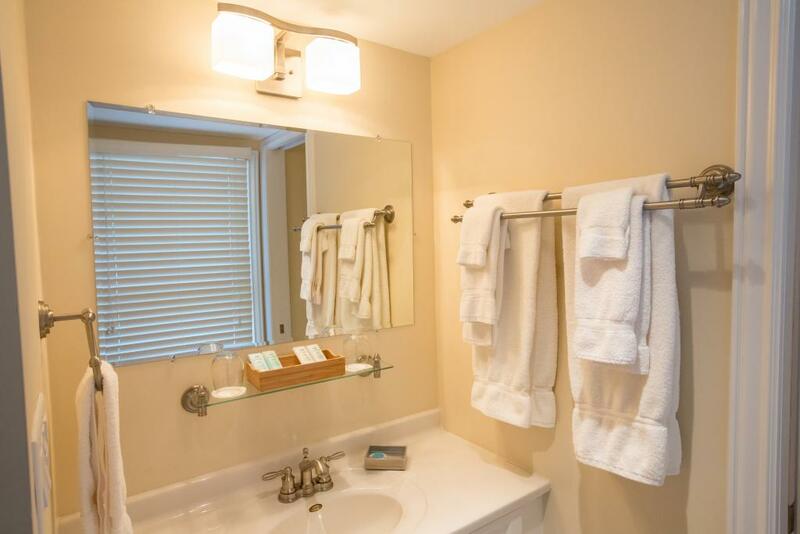 Other amenities include a private deck, a kitchenette and a 3rd floor lounge offering space to read, work, play games or enjoy a glass of wine. 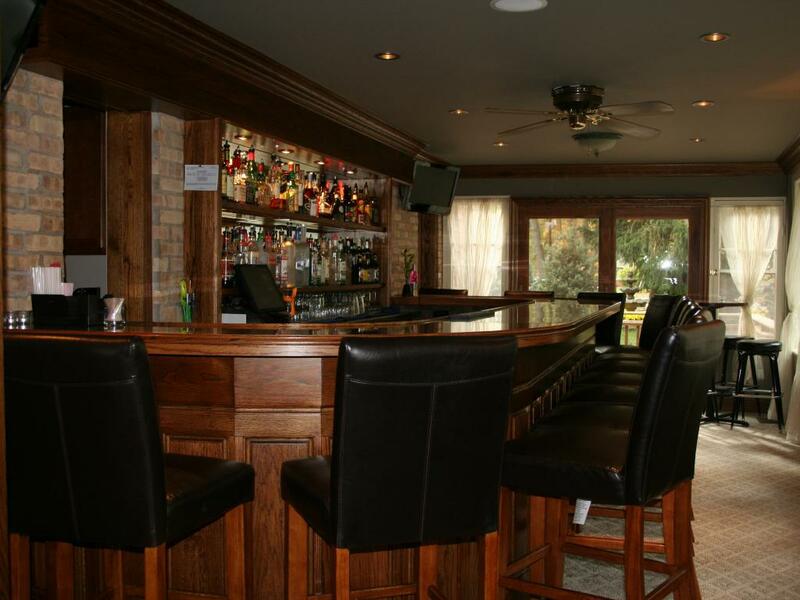 The Duneland has a full service restaurant on the first floor, a cozy neighborhood bar, and outdoor patio which is available to everyone, weather permitting. 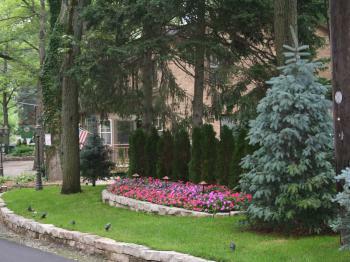 Tennis courts are available in Duneland Beach Park. 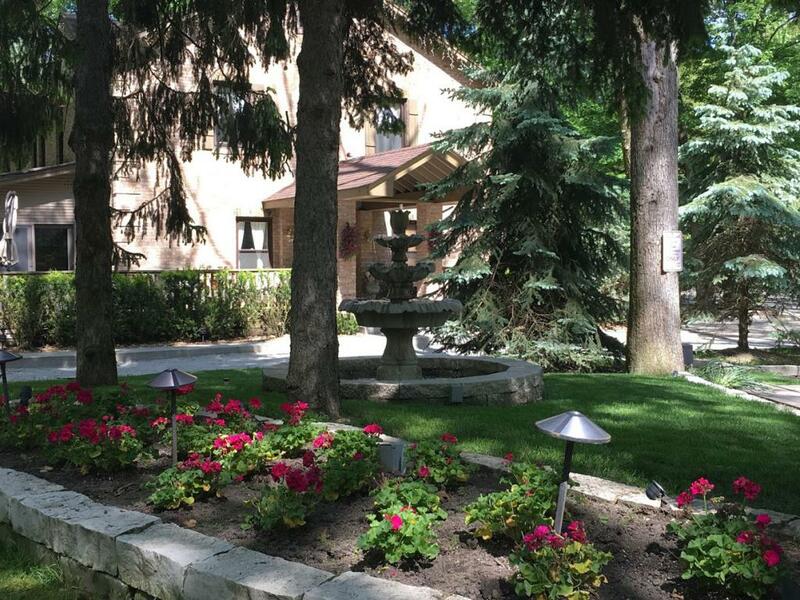 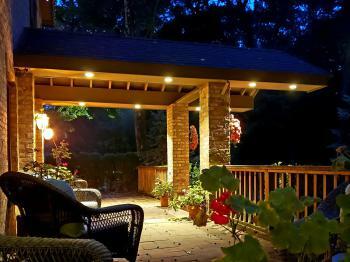 We are a secluded property, yet nearby many attractions such as casinos, botanical gardens, theatre, outlet shopping mall, Michigan City Uptown Arts District, and water sports activities. The Duneland is a favorite of Chicagoan's to enjoy our casual fine dining restaurant serving fresh fish and seafood, delicious steaks and chops prepared in our scratch kitchen. 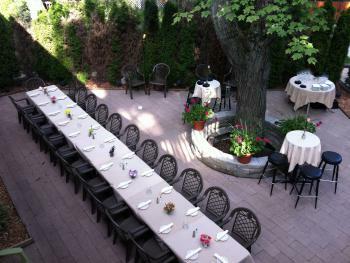 We can accommodate almost any dietary needs offering gluten free, vegan and vegetarian options. 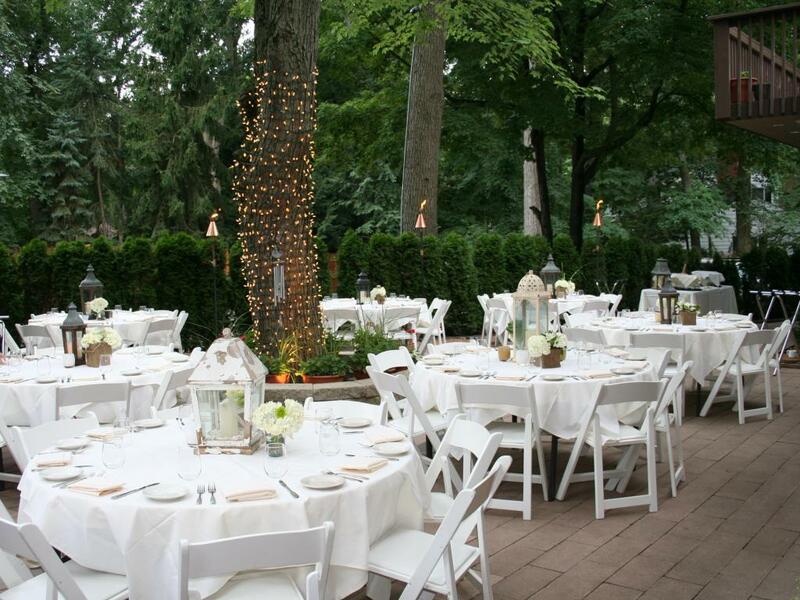 We are a popular destination for beach vacations, adult family rentals, and offer private parties for occasions such as rehearsal dinners, wedding brunches, birthday parties, showers and anniversaries. Because of our history we have enjoyed visits from many celebrities and prominent politicians alike.